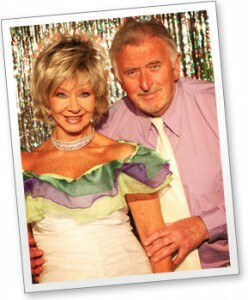 Tivoli Theatre Pantomimes were established by Carole Ann and Terry Gill who have presented Childrens Theatre in Melbourne since 1974, with over 250 productions. Originally in Shopping Centre Theatres at Chadstone and Northland and open stage productions at Doncaster Eastland and southland. Later productions included The Comedy Theatre, Universal Theatre, Her Majestys in Ballarat, many Art Centres and 10 years in the Melbourne City Council in the Parks Programme. Employing hundreds of Professional Actors Singers and Dancers (including Shane Bourne, Rosie Sturgess, Patti Newton, Frank Wilson, Ken James, Frankie J. Holden, Collette Mann and Darryl Sommers) we've continued bringing our 'Magical' Children's theatre Pantomimes to our communities of Melbourne. In 2015 the company entered a new era, in the hands of Clinton Barker as Artistic Director. Clinton brings over 15 years of experience as a musical theatre performer. He also brings an enormous amount of enthusiasm to grow as a leader in children's theatre entertainment. If you've been to the Tivoli before you would have seen him as the funky Puss, the silly Jack, the cunning Strombolli and even as the enchanting Elvis from the restaurant night shows. There is no doubt Clinton's talent, hard work and passion will take Tivoli Theatre to new heights. Come and see it for yourself in the next holiday season!